For the last three decades, Uganda has been one of the fastest growing economies in Africa. Globally praised as an “African success story” and heavily backed by international financial institutions, development agencies, and bilateral donors, the country has become an exemplar of economic and political reform for those who espouse a neoliberal model of development. The neoliberal policies and the resulting restructuring of the country have been accompanied by narratives of progress, prosperity, and modernization and justified in the name of development. But this self-celebratory narrative, which is critiqued by many in Uganda, masks the disruptive social impact of these reforms and silences the complex and persistent crises resulting from neoliberal transformation. Bringing together a range of leading scholars on the country, this collection represents a timely contribution to the debate around the “New Uganda,” one which confronts the often sanitized and largely depoliticized accounts of the Museveni government and its proponents. Harnessing a wealth of empirical materials, the contributors offer a critical, multi-disciplinary analysis of the unprecedented political, socio-economic, cultural, and ecological transformations brought about by neoliberal capitalist restructuring since the 1980s. 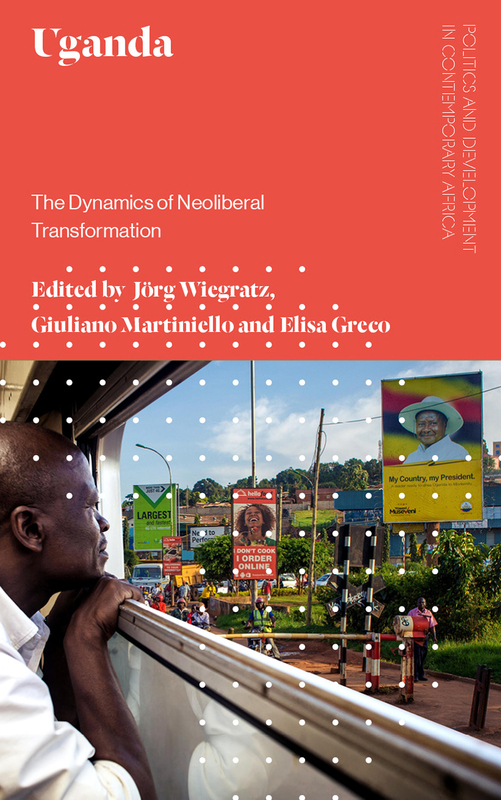 The result is the most comprehensive collective study to date of a neoliberal market society in contemporary Africa, offering crucial insights for other countries in the Global South.